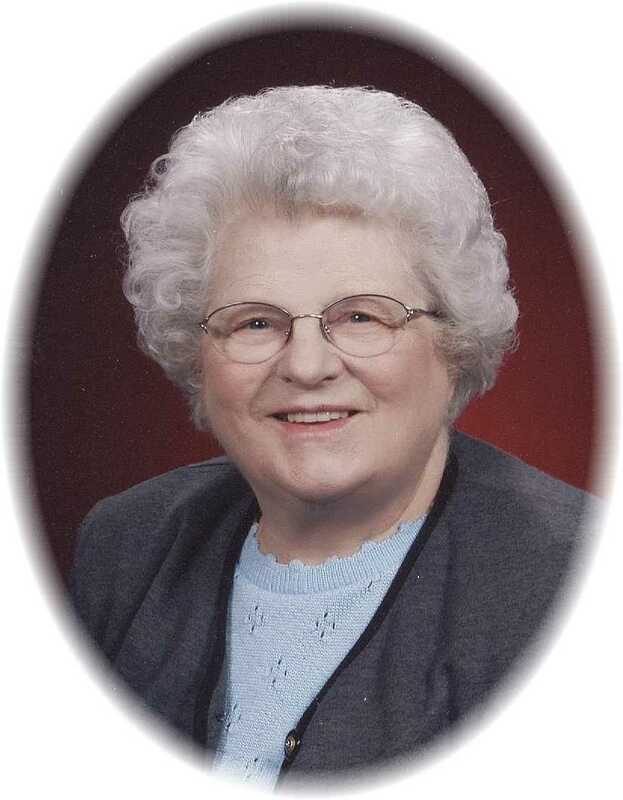 Rachel Undem, with family at her side, died on 8 April 2019 at the McCone County Health Center’s Extended Care Facility, Circle, at the age of 94. Rachel Louise (MacDonald) Undem was born 4 June 1924 in Machiasport, Maine, to Pastor George R and Marie MacDonald. She had three siblings, Ruth (MacDonald) McCune (deceased), John MacDonald (deceased), and Sara MacDonald of Sterling KS. Spending her childhood on the move as a pastor’s child, she lived in Machias Port, ME and Providence, RI before her parents served multiple parishes in WA State, including Soap Lake, Waterville, Vashon Island, and Kirkland before moving to Cavalier, ND. She lived with grandparents for a time in Butte, MT, where she graduated from high school. She met her future husband, George Elvin Undem, at Concordia College, MN where she completed one year of college before being married on 22 March 1945. Graduating from the University of Montana, Dillon, with a degree in music, she went on to a lifelong career of teaching piano, directing choirs, and playing for services and events in North Dakota and South Dakota where Elvin pastored Lutheran churches in small towns across the Northern Plains. Rachel studied music at the University of Minnesota while Elvin was at Luther Theological Seminary, St Paul, and also studied and taught at Augustana College in Sioux Falls, SD. Rachel and Elvin returned to Circle in 1972 when Elvin retired from the ministry. Rachel taught piano to hundreds of Circle students, many of whom went on to permanent careers in music, before she retired in 2008. Rachel was preceded in death by her husband, George Elvin, in 1995, her sister Christina “Ruth” McCune, and brother and sister-in-law John and Doris MacDonald. Rachel is survived by Sons: Halvor Undem (Rebecca Knudsen) of Richland, WA; Joel Undem (Jane Cummings), Lovell, WY; Dan Undem (Dawn Canfield), Circle; Chris Undem of Sidney, MT; and Daughters: Sylvia DeVries (Dennis) of Sidney MT, and Vernelle Skundberg of Glendive, MT. Rachel doted on her children, grandchildren, and great grandchildren, leaving behind 16 grandchildren, 20 great grandchildren, and 1 great-great grandchild. The family will receive friends on Friday, April 12, from 4:00-6:00 pm at the Stevenson and Sons Funeral Home in Circle. Rachel’s funeral service will be at 11:00 am at the First Lutheran Church in Circle, with burial at the Riverview Cemetery. Memorials may be designated to the McCone County Health Center, Extended Care Facility. Condolences may be sent to the family by visiting: www.stevensonandsons.com. We’re sorry to hear of the passing of your mother. You will be in our prayers for comfort and peace from the Lord. Rachel was a special, talented lady and her family and the town of Circle will miss her very much. My thoughts and prayers are with all of you as you remember her in the coming days. We are sorry to hear of your mother’s passing! We will be remembering you and your family in our prayers! God bless you! What a wonderful life! Your mother is with the Lord.You will see her again. PEACE! My heart goes out to all of Rachel’s loved ones during this difficult time. Rachel was a wonderful piano teacher and dear friend. She will forever be an inspiration to me as I have started teaching piano myself. Her legacy will be cherished always. So sorry to hear of her passing! She taught me so much through my years of piano with her! Prayers and blessings to the family! So sorry to hear of Rachel’s passing. What a wonderfully talented lady. She loved her family dearly and will be missed. You are blessed by many fond memories. God Bless to each of you. The saints in heaven have been joined by a very special woman. I so enjoyed the times that Rachel and I worked together to lead the congregation at First Lutheran in worship She was a talented and dedicated musician whose gift lives on in the music her students now share with their families and friends, my daughter Merri included. God keep and comfort you during this time of loss. We extend our condolences to the family. Thinking of you for all the musical memories we had together through Rachel’s and our years in Circle. God bless you all. Rachel is now in the bosom of Jesus. I have very fond memories of Rachel, teaching piano and through church. She instilled the love of music and piano to so many who were blessed to have been taught by her or just to have known her. Blessings to you all at this difficult time.